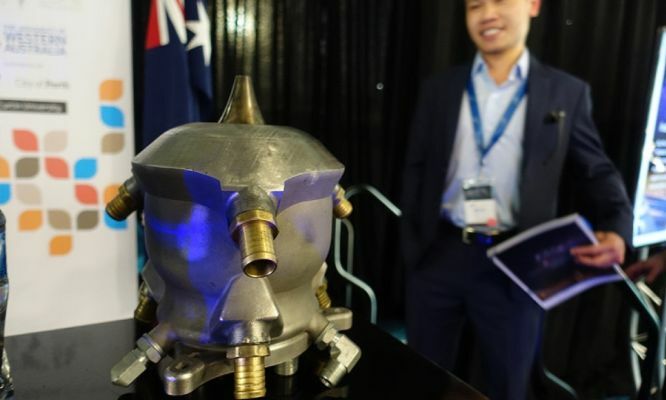 Your local mining company—yep, regular old Woodside—has been quietly backing researchers from Monash University and a 3D printing company called Amaero as they work on the rocket engine that could bring people back from Mars. 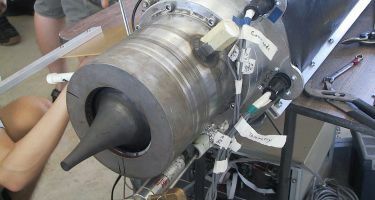 Under the code name Project X, they’ve been working on a 3D printed, methane-fuelled aerospike rocket engine. That’s a little bit of a mouthful, so let’s dig into exactly what that means and why it’s so cool. At this point, you’ve probably heard of 3D printing. You might even have seen a printer in action. But this kind of project pushes 3D printing to its limits. Rather than layering hot plastic filament, parts can be printed by melting layers of metal powder together with a laser. Video|Imperial Machine & Tool Co.
Now that the technology is maturing, parts printed in this way are getting surprisingly strong. In fact, 3D printed parts are now getting so strong that they can withstand massive temperatures and pressures. Temperatures and pressures that you might encounter when harvesting natural gas from thousands of metres below the ground’s surface—or perhaps when sending a rocket into space. Not only are they strong, they’re quick to make. With 3D printed parts, we can finally start to experiment with designs and materials for rocket engines that we couldn’t make (or couldn’t test) before. One of those is the aerospike design the Project X team are using. Rockets need to keep their thrust pointed at the ground to move upwards. 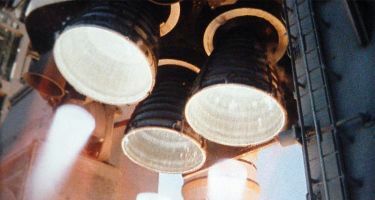 Traditional rockets have a shaped bit of metal at the bottom of the engine to keep that jet of fire moving in the right way. If you’ve ever watched a rocket launch, you probably recognise it. It’s the bit at the bottom that looks kind of like a bell. Aerospikes don’t have those metal bits. They have a pointy, plug-like shape instead. … Aerospikes have a pointy, plug-like shape. These different engine shapes contain and control the thrust from burning rocket fuel in different ways. Aerospike engines rely on the surrounding air pressure to keep everything flowing the right way, rather than relying on a wall of metal around the edge of the engine. It’s kind of like one of those bladeless fans, only much hotter. Aerospikes aren’t just a neat physics trick. They’re theoretically way more efficient than regular rockets. If we can get it working, it could be up to 10% more efficient than the rockets of today, one Project X engineer estimates. That’s 10% less fuel we need to carry and 10% more cargo than the rockets of today. That may not sound like much, but once we’re sending hundreds of tonnes (or hundreds of people) into orbit, it adds up pretty quickly. So far so good, but the real kicker is that the Project X rocket runs on natural gas. The current gold standard for rocket fuel is hydrogen. Unfortunately, it’s pretty difficult to store. It’s got to be kept under pressure at -253°C. You need a pretty strong tank to keep it around—and even then, it tends to leak out. 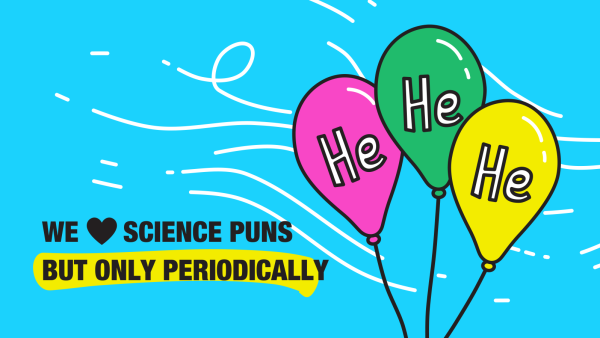 While hydrogen is easy enough to make on Earth, we can’t exactly store it and ship it a long way. But what about natural gas, more commonly known as methane? We’re already experts at storing and shipping that. Methane fuel doesn’t need to be kept as cold or under as much pressure. That means rockets could have much lighter tanks, and fuel can be stored for longer. We may even see fuel depots orbiting the Earth, allowing us to top up our rockets the same way we refuel cars. 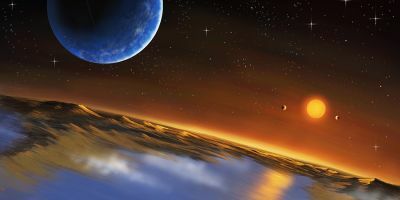 Perhaps most excitingly, methane is a simple enough chemical that we can synthesise it using a little water and a little carbon dioxide—both things we can find across the Solar System, including on Mars. What is this—a rocket for ants? The Project X rocket is nowhere near being flight hardware yet—it’ll only lift about 400kg. It’s not the first aerospike or the first 3D printed engine or the first methane engine, but it is a successful combination of all three. 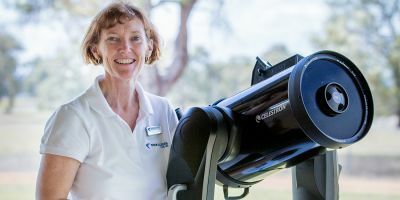 It’s real, cutting-edge rocket science—the kind we need to explore Mars—and it’s happening right here in Australia.